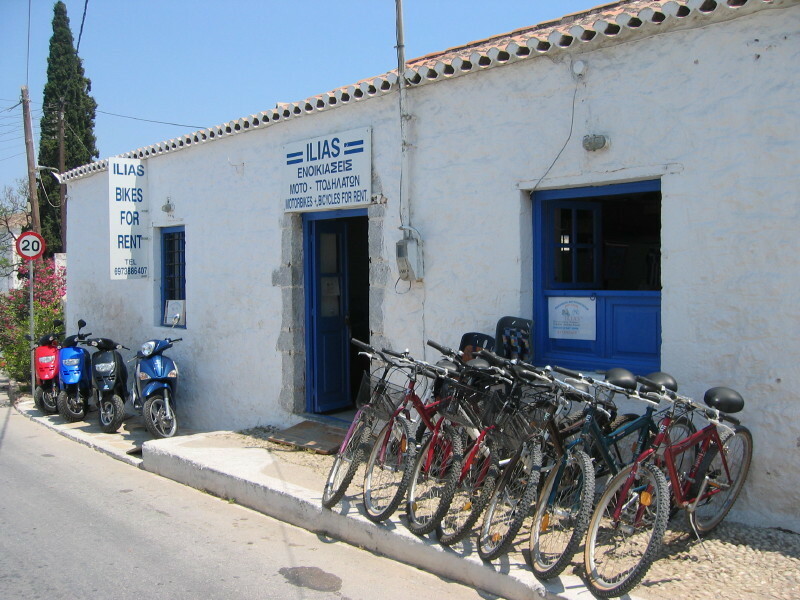 Ilias Rent-A-Bike is situated on the Ayia Marina road, just around the corner from Analypsi Square. 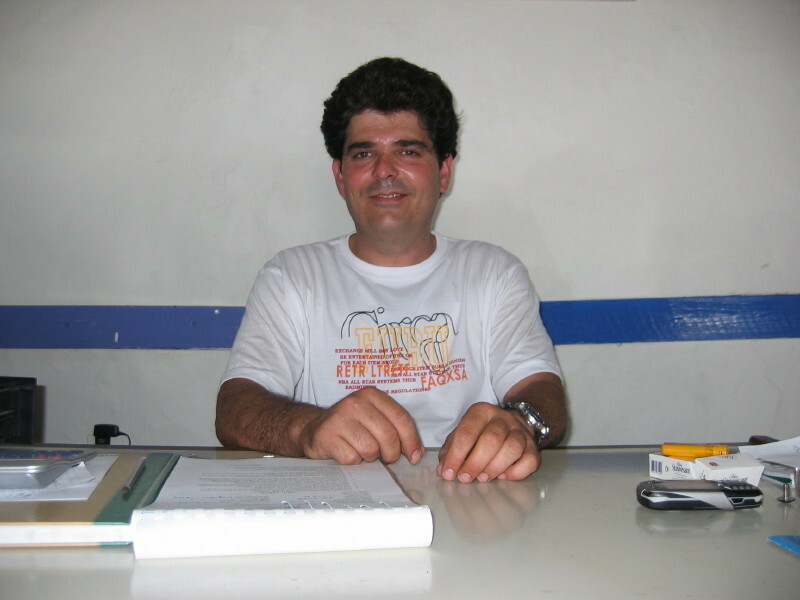 Ilias' 50cc motorbikes are just a few months old and are always kept in excellent condition. He has TYPHOON and LIBERTY bikes, made by the Italian company, Piaggio. In bright red, electric blue and shiny black, they are easy and fun to ride. They can be rented by the hour, by day or for as long as you want - and of course the longer the rent - the lower the price! 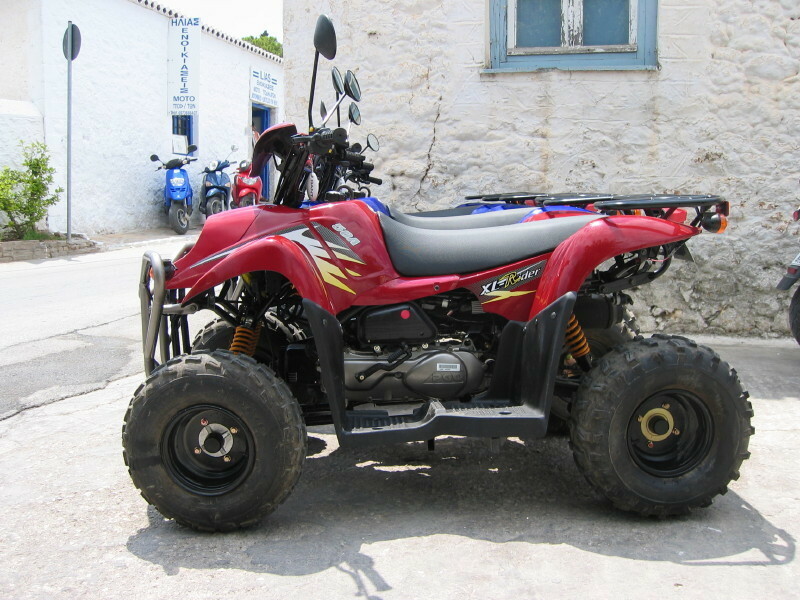 Ilias also has brand new 4-wheeled bikes (ATV) fondly known as 'gourounia', which in English means 'pigs'! 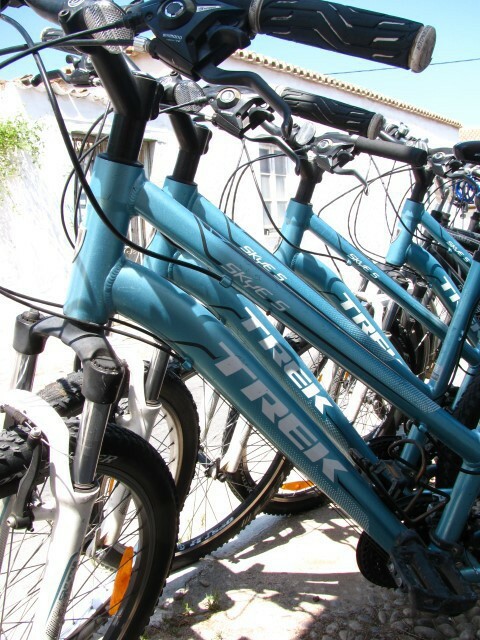 Ilias' also rents FIELD and TREK mountain bikes and these are also just a few months old. 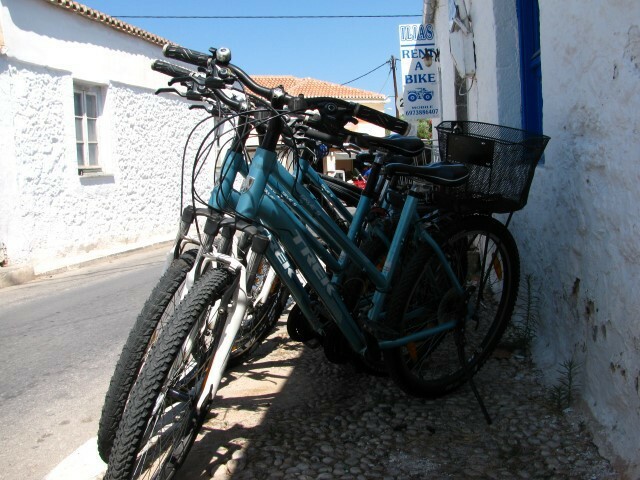 They all have 24 gears and he has both men's and ladies bikes (the ladies with sizeable baskets on the front). There are also baby/child seats that can be fixed to the back of the bikes, comfortably holding up to 20k in weight. 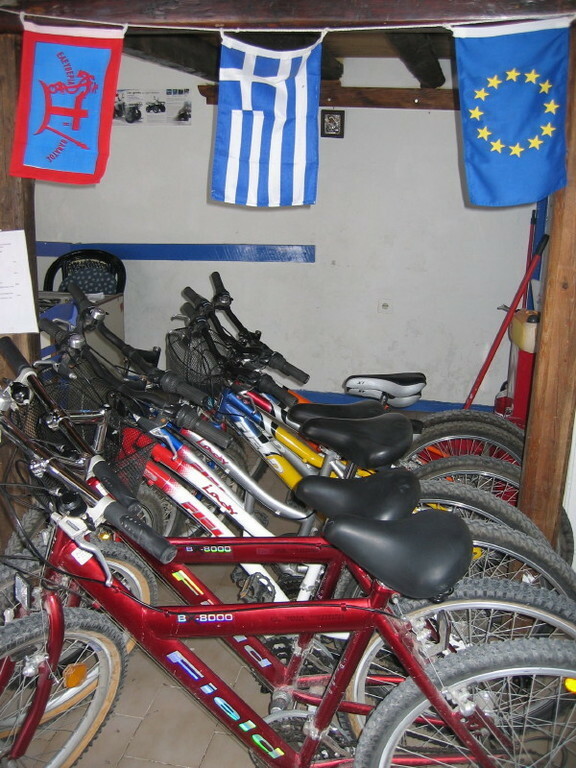 He also has a few children's mountain bikes, suitable for aged 10 yrs and over. Motorbikes: Per hour - €5. 9am to 7pm - €15. 24 hours - €20. For periods of 3 days or more, a *special price* can be arranged. 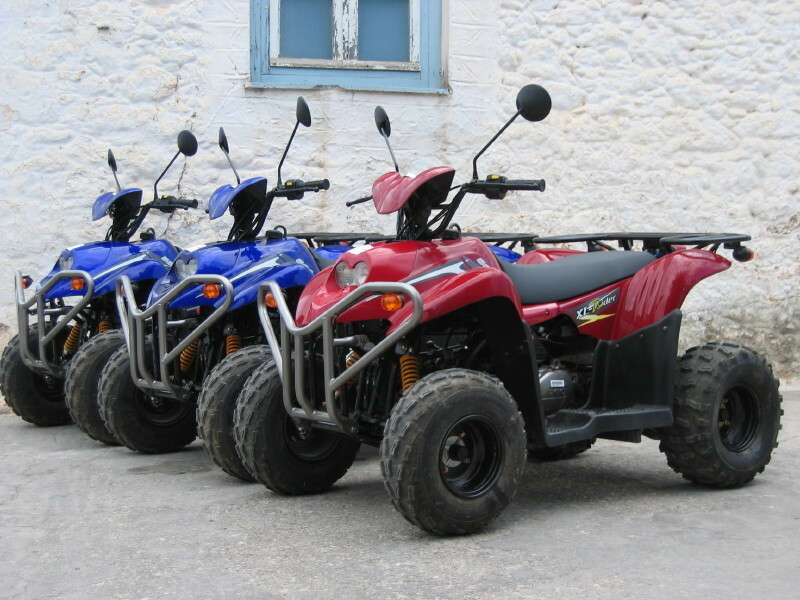 ATV (4 wheeled 'pig' bikes): 9am to 7pm - €25. 24 hours - €35. Can comfortably seat 2 adults and one small child. Hybrid Electric Bicycles: Per Day - €17. 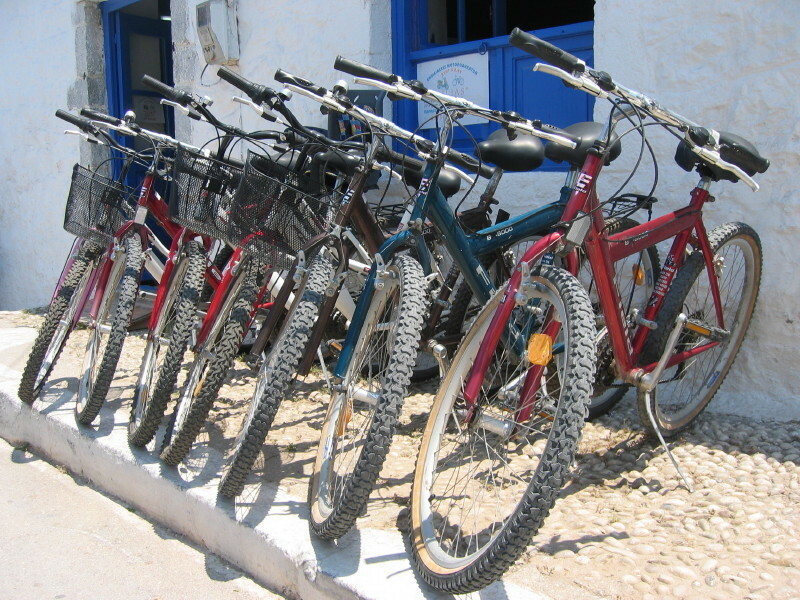 Mountain bikes: 9am to 7pm - €5. 24hrs - €7. For periods of 3 days or more, again a *special price* can be arranged. Helmets for all bikes available. 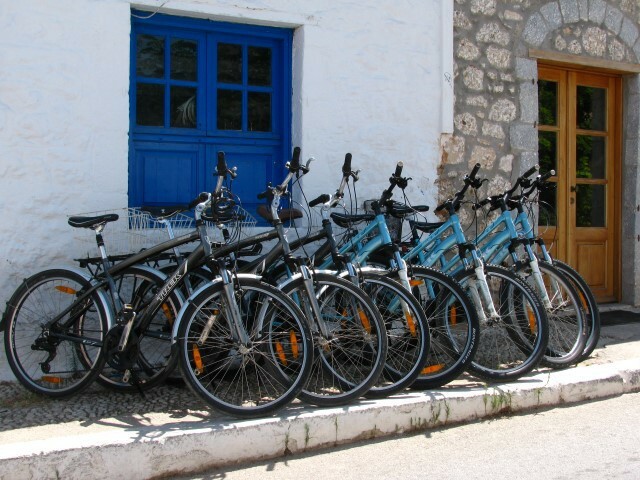 The bike shop is perfectly located for holidaymakers staying in: Ayia Marina. Old harbour (Palio Limani) Mimosa. Orloff. Spiliotis. Villa Martha. 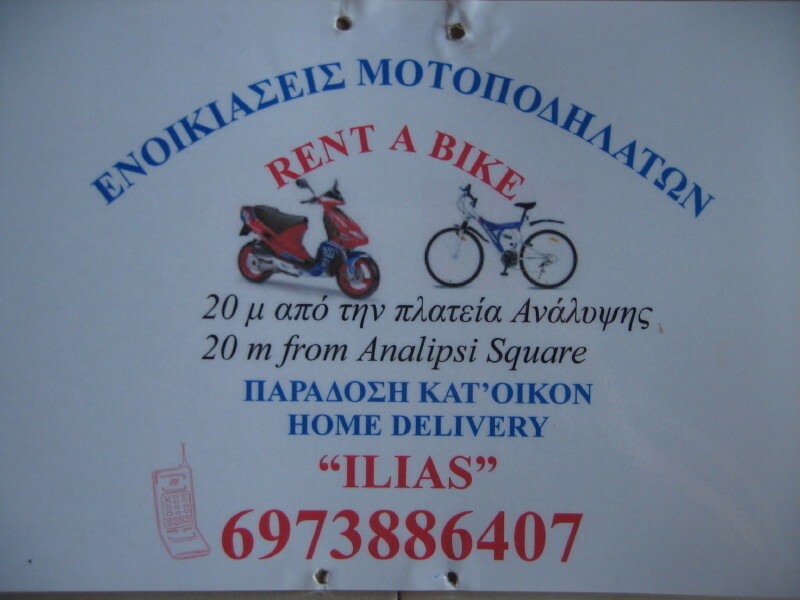 However... "ILIAS" Rent A Bike has a great PICK UP and DROP OFF service. This means that wherever you are - bikes can be delivered and collected. This is extremely useful if you have just arrived and want your motorbike to be delivered to the town or from the accommodation that you are staying in. So, when you come to Spetses, just remember to bring your driving licence with you... Opening hours: 9am - 2pm. 4pm - 8pm. 7 days a week. 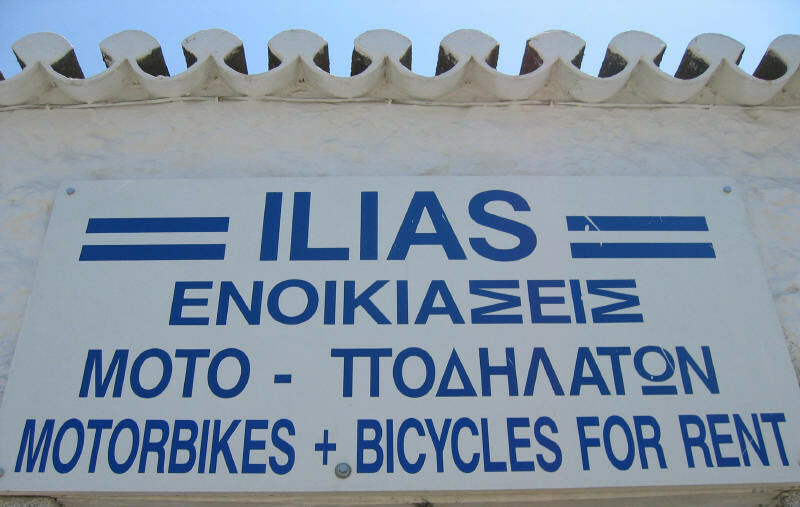 Good bikes and prices from friendly and helpful Ilias. Very convenient pick up/drop off service. FROM JULY 2016: PLEASE TAKE NOTE OF NEW LAWS REGARDING MOPED LICENCES. ILIAS WILL NOT BE HIRE OUT A MOPED WITHOUT A VALID DRIVING LICENCE. PLEASE SEE EXAMPLES BELOW.